18. Hitoshi Araki, Takashi Kanbe, Hiroki Mizumoto, Teruhiko Takahara, Toshifumi Minamoto (2017) Environmental DNA as an ecological tool for salmonid fish distribution, The 64th Annual Meeting of the Ecological Society of Japan, Oral presentation, Tokyo, Japan. 2017.3.14-18. 17. Rei Tobita, Shunsuke Tsukamoto, Teruhiko Takahara, Masa-aki Yoshida, Hideo Akiyoshi (2016) Hepatic microcirculation and sinusoidal fenestration of the liver in Japanese eel (Anguilla japonica): a scanning electron microscopic study of cast samples, The 22nd International Congress of Zoology, The 87th Meeting of The Zoological Society of Japan, Joint Events in Okinawa, Japan. 2016.11.15-19. 16. Hideyuki Doi, Ryutei Inui, Kimiko Uchii, Yoshihisa Akamatsu, Kazuki Kannno, Saeko Matsuhashi, Teruhiko Takahara, Hiroki Yamanaka, Toshifumi Minamoto (2016) Environmental DNA method for estimating fish abundance and biomass, ESA (Ecological Society of America) Annual Meeting, Oral presentation, Florida, USA. 2016.8.7-12. 15. Hideyuki Doi, Kimiko Uchii, Teruhiko Takahara, Saeko Matsuhashi, Hiroki Yamanaka, Toshifumi Minamoto (2015) Use of droplet digital PCR for estimation of fish distribution, abundance and biomass in environmental DNA surveys, The 2015 ESA (Ecological Society of America) Annual Meeting, Baltimore, USA. 2015.8.9-14. 14. Momo Takada, Toshihiro Yamada, Teruhiko Takahara, Toshinori Okuda (2015) Downward migration of radiocesium in soil layers in deciduous forests in Fukushima, Japan, “13th International Conference on the Biogeochemistry of Trace Elements”, Poster presentation, Fukuoka, Japan. 2015.7.12-16. 13. Momo Takada, Teruhiko Takahara, Toshihiro Yamada, Toshinori Okuda (2015) Spatial heterogeneity of radiocesium concentration on a forest floor soil in a broadleaf and mixed forest in Fukushima, Japan, “European Geosciences Union General Assembly 2015”, Poster presentation, Vienna, Austria. 2015.4.12-17. 12. Noriyuki Koizumi, Teruhiko Takahara, Toshifumi Minamoto, Hideyuki Doi, Atsushi Mori, Keiji Watabe, Takeshi Takemura (2014) Development of a method for detecting inhabitation of the Dojo loach using environmental DNA, “PAWEES 2014 International Conference”, Oral presentation, Kaohsiung, Taiwan. 2014.10.30-31. 11. Hideyuki Doi, Teruhiko Takahara, Toshifumi Minamoto (2014) Community ecology using environmental DNA, in symposium “Evolutionary Community Ecology”, Oral presentation (invited), Kyoto, Japan, 2014.9.2. 10. Teruhiko Takahara, Satoru Endo, Momo Takada, Yurika Oba, Wim Ikbal Nursal, Toshihiro Yamada, Toshinori Okuda (2014) Radiocesium accumulation of frog species in forest floors 2.5 years after the Fukushima Nuclear Power Plant accident, “Frontiers in Amphibian Biology: endangered species conservation and genome editing”, Poster presentation, Higashi-Hiroshima, Japan. 2014.3.27-28. 9. Momo Takada, Yurika Oba, Wim Ikbal Nursal, Teruhiko Takahara, Kiyoshi Shizuma, Toshihiro Yamada, Toshinori Okuda (2014) Downward movement of radiocesium in deciduous forests fllor in Fukushima during summer and winter in 2013, “Radionuclide dynamics and biological transfers in watershed ecosystems: toward watershed management in the post nuclear accident period”, Poster presentation, Tokyo, Japan. 2014.2.28. 8. Teruhiko Takahara, Hideyuki Doi, Toshifumi Minamoto (2013) Using environmental DNA to estimate the distributions and biomass of fish, in symposium “Detection of aquatic species using environmental DNA: an integrative new approach to inform conservation”, 26th International Congress for Conservation Biology (ICCB), Oral presentation (invited), Baltimore, MD, USA. 2013.7.21-25. 7. Teruhiko Takahara, Hideyuki Doi, Toshifumi Minamoto, Hiroki Yamanaka, Zen’ichiro Kawabata (2013) Detection and quantification of fish presence and biomass using environmental DNA to monitor population sustainability. The 9th International Conference on Environmental, Cultural, Economic and Social Sustainability, Poster presentation, Hiroshima, Japan. 2013.1.23-25. 6. Teruhiko Takahara, Hideyuki Doi, Toshifumi Minamoto, Hiroki Yamanaka, Zen’ichiro Kawabata (2012) Detection and quantification of fish presence/biomass in ponds using environmental DNA. ASLO Aquatic Sciences Meeting 2012, Poster presentation, Otsu, Japan. 2012.7.8-13. 5. Mie N. Honjo, Toshifumi Minamoto, Hiroki Yamanaka, Teruhiko Takahara, Zen’ichiro Kawabata (2012) Seasonal and spatial distribution of Cyprinid herpesvirus 3 in water and sediment of a lagoon of Lake BIWA, Japan. ASLO Aquatic Sciences Meeting 2012, Poster presentation, Otsu, Japan. 2012.7.8-13. 4. Teruhiko Takahara, Hideyuki Doi, Toshifumi Minamoto, Hiroki Yamanaka, Zen’ichiro Kawabata (2012) Detection and quantification of fish presence/biomass using environmental DNA to monitor population sustainability. Hiroshima International Symposium on Sustainability Sciences, Proceeding 23頁, Poster presentation, Higashi-Hiroshima, Japan. 2012.3.8. 3. Teruhiko Takahara, Yukihiro Kohmatsu, Ryohei Yamaoka (2007) Different chemical cues inducing predator-avoidance behavior in two anuran tadpoles. 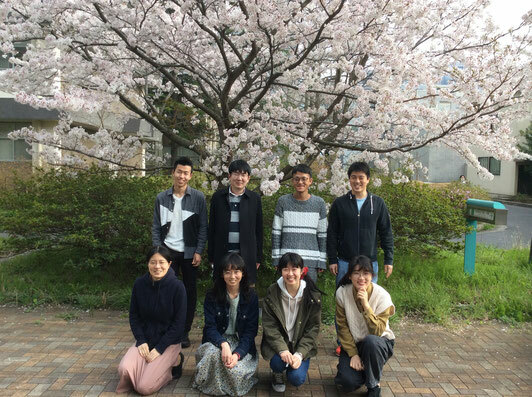 The 4th Asia-Pacific Conference on Chemical Ecology, Proceeding 70頁, Poster presentation, Tsukuba, Japan. 2007.9.10-14. 2. Teruhiko Takahara, Yukihiro Kohmatsu, Atsushi Maruyama, Ryohei Yamaoka (2006) Functional mechanisms of anti-predator behaviors induced by chemical cues on tadpoles. The 22nd Annual Meeting of the International Society of Chemical Ecology, Proceeding 23頁, Poster presentation, Barcelona, Spain. 2006.7.15-19. 1. Mamiko Ozaki, Mayako Kakiuchi, Teruhiko Takahara, Ryohei Yamaoka (2001) Taste reception of lipophilic oral toxins via an odorant-binding protein in the blowfly. 7th European Symposium for Insect Taste and Olfaction, Poster presentation, Sardinia, Italy. 2001.9.23-28.